Sprinkle the 'Zero to Hero' song from Disney's Hercules to taste. ...and some more opinions on Wonder Woman. "...All it does is create them." 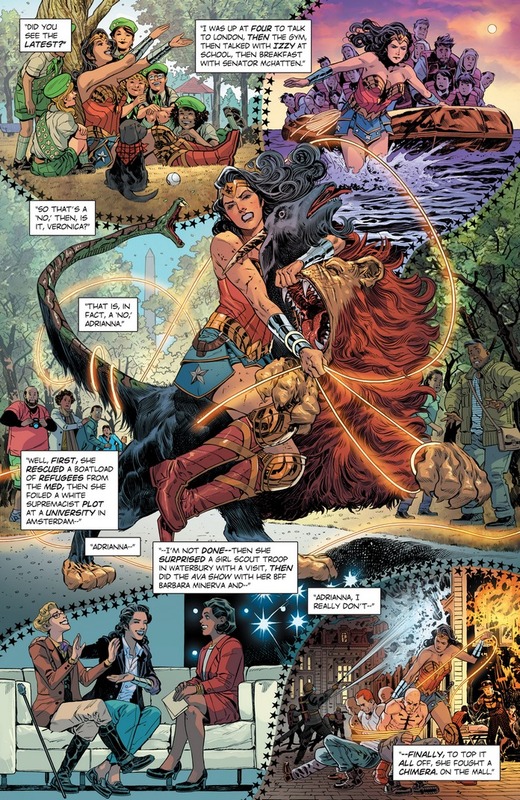 The plan is to use Cale and Adrianna's Cyber project to map Diana's neural network, to see if they can data-mine the location of Themyscira frPhobos and Deimos put a civilian in danger of the chimera Diana captured earlier, getting Cyber/Adrianna close enough to Wonder Woman, once she arrives for the rescue. It goes very, very badly. Not to discount from the quality of this arc, but they really should've stored that chimera somewhere safer - there's some strong 'make the plot possible' vibes coming from this particular plot point. 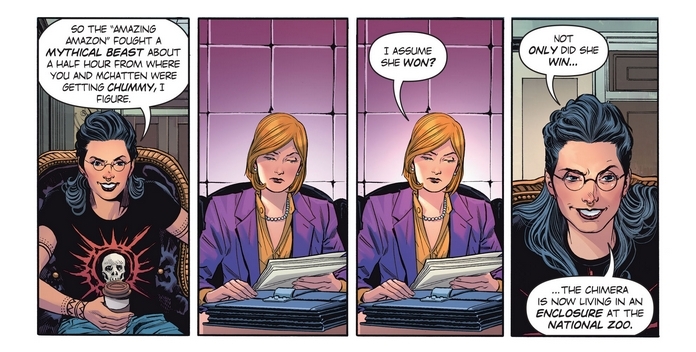 At least coordinate with the DEO or whoever handling agency deals with magizoology in the DC universe. 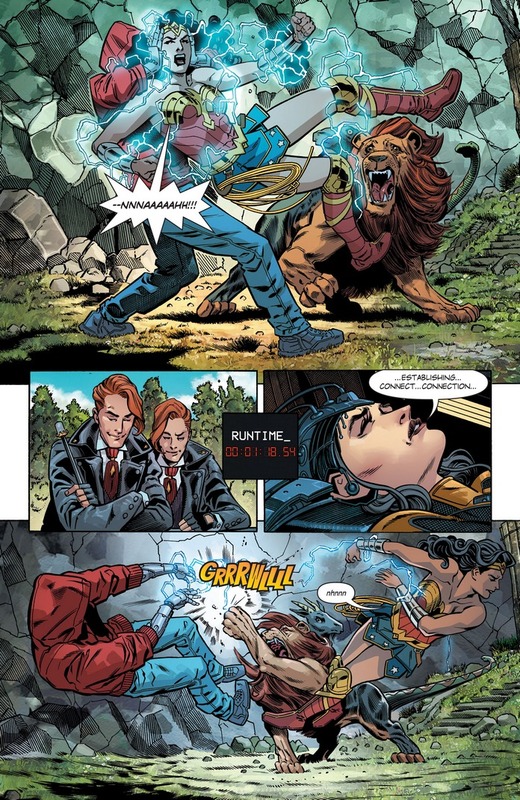 What's tragic here is that if you black out all of Veronica Cale's scenes here, it's a feel-good parable about Wonder Woman's kindness being rewarded by the chimera coming to her aid. 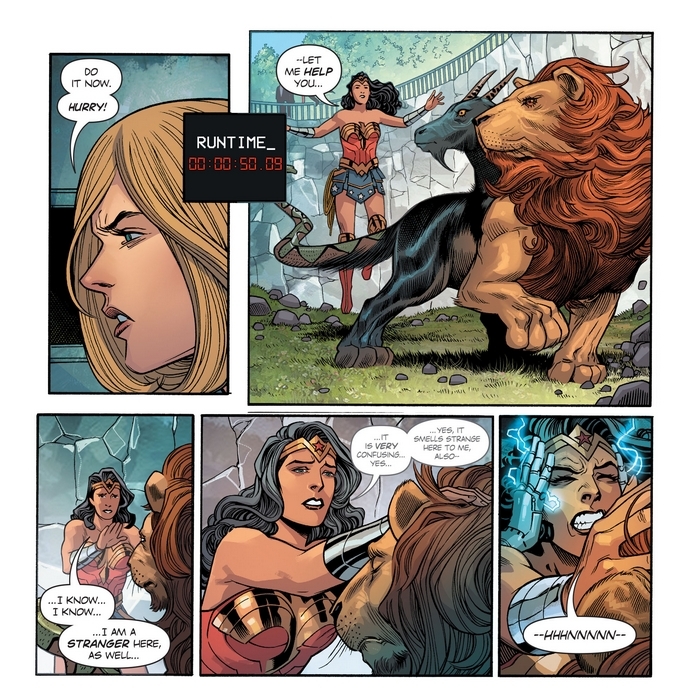 Diana's conversation and the Chimera's shocked expression once she sees Cyber attack Wonder Woman was obviously meant to evoke sympathy. 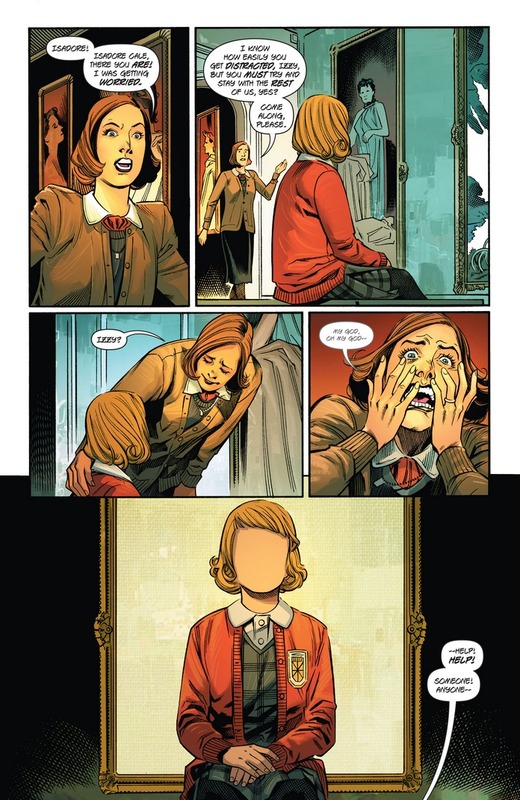 As it is, the creative team fleshed out Cale's side of the story in the pages leading to this...and what could have been a cliched 'pre-villain who casually doesn't like hero; becomes full-on villain' becomes a story capable enough to stand on its own. Like so. Godwatch continues next post. Stay tuned! I took the time to read through this series . . . and man oh man is it great. I haven't enjoyed a comic like that for a while. 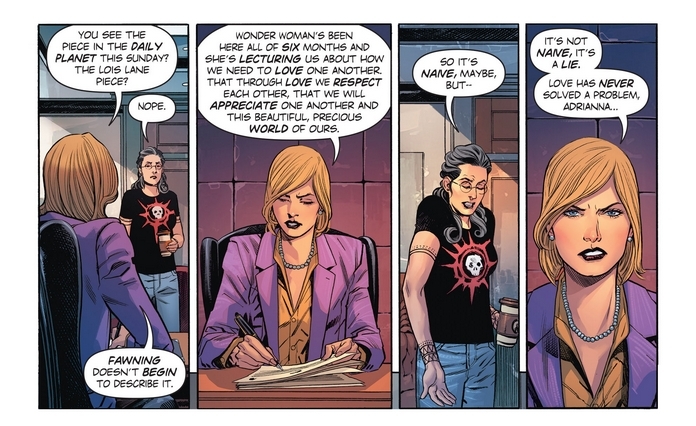 Not without its flaws (see: chimera), but definitely one of the most recommendable Wonder Woman runs ever forever. 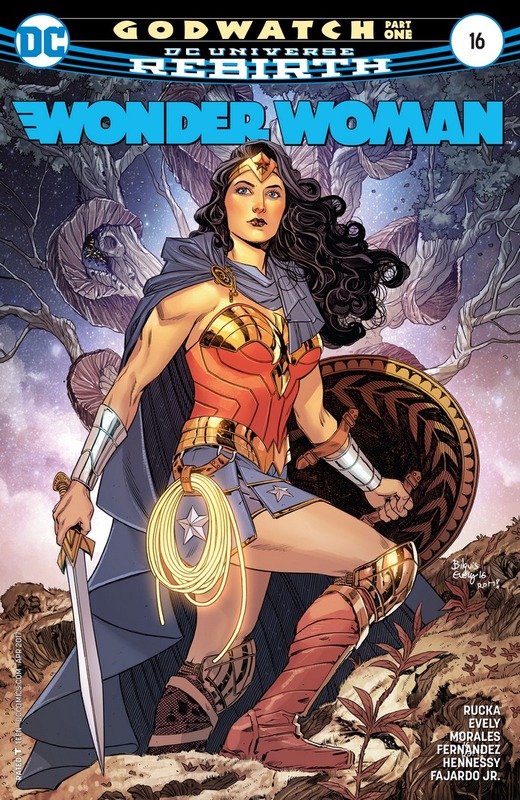 Is Greg Rucka writing Wonder Woman again? yes but he is leaving after issue 25. Given his history with DC, I think we're lucky we got that much out of him. Yes. 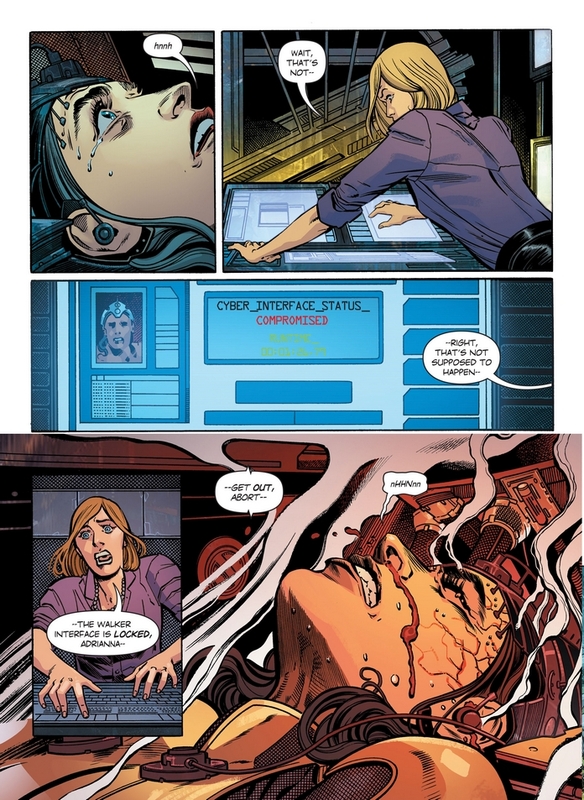 But Veronica spends the next year recovering what data she could of Adrianna's stored brain patterns from the Cyberwalker program she was using when she died and building an AI out of it so that Veronica can get her friend back. Those Cyber transformations sound awesome! So it seems like they split it up here and created a new character? long_silence put it comprehensively, but to add something: nope, there was a Veronica Cale and a Doctor Cyber before (separate people). 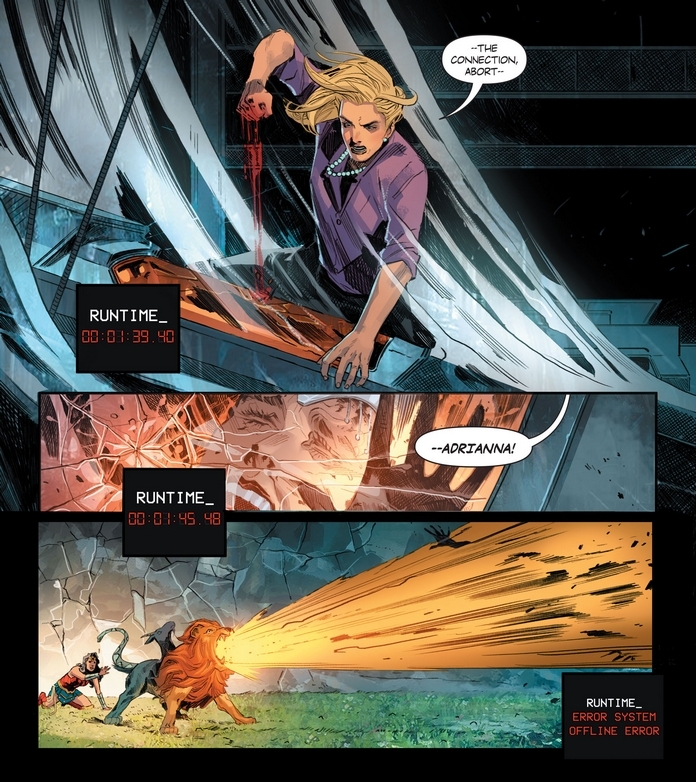 Rebirth removed the costuming side for Cale, focusing more on her as a person/friend/mother than a costumed villain, and then a systemic, top-to-bottom characterization change for Cyber. 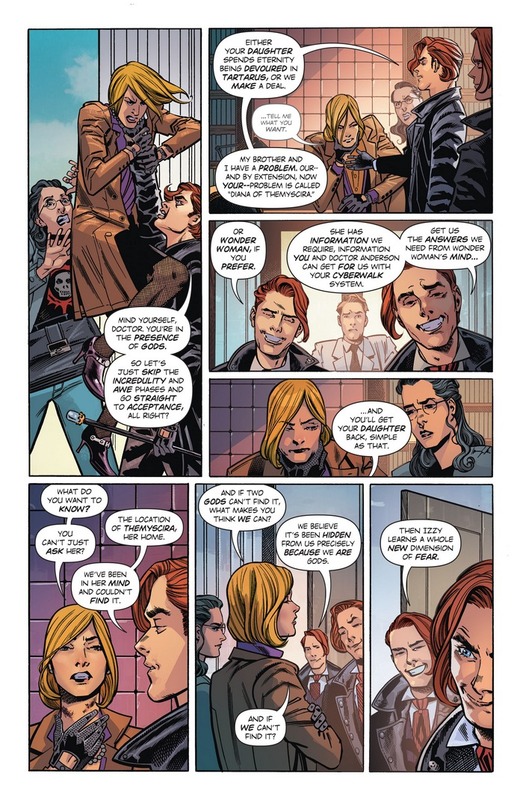 So are veronica and Adriana/Cyber badguys? Don't worry, they're victims/tragic villains: in this case, everything they've done is under duress, to bring back Cale's daughter from Phobos+Deimos' hostage curse. Cyber might even have a purer motivation, since the only reason she got into this was to help her friend. If there's any pure bad guys here, it's Phobos, Deimos, and (maybe) Circe, whom I suspect is long-conning the hell out of everyone.